What Does Code P0360 Mean? The ignition system converts battery voltage into the high voltage used to ignite the cylinder air/fuel mixture. The low voltage side of the system is referred to as the primary circuit. It includes the battery, ignition switch, primary coil winding, a triggering mechanism (such as a crankshaft sensor) and switching device (such as an ignition module or ECU). The high voltage side of the system is called the secondary circuit. On modern vehicles it includes the coil pack and spark plugs. Current technology has done away with many ignition components of the past. This includes items such as the distributor, cap, rotor – and now even the spark plug wires. Modern engines use only a coil pack that sits directly on top of the spark plug. 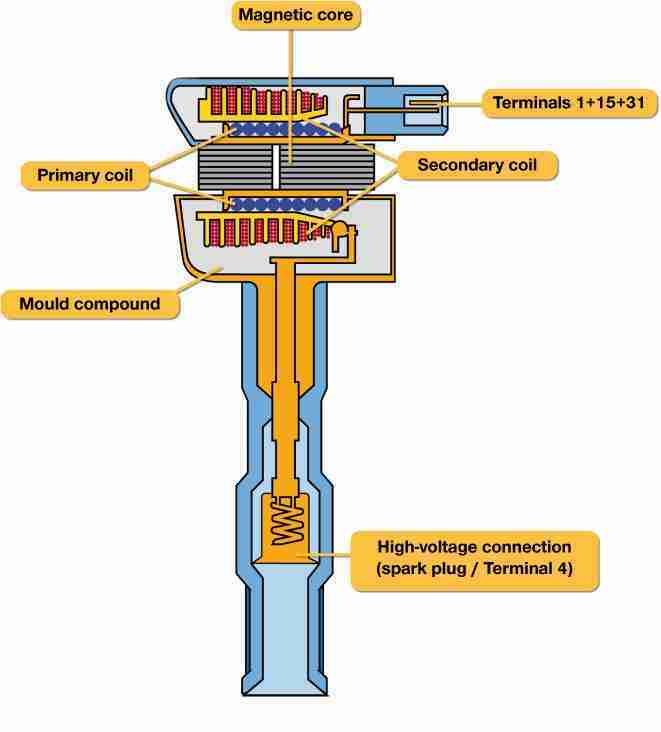 The coil pack is used to convert the low primary circuit voltage to high secondary voltage needed to fire the plugs. The coil pack is basically a transformer, which has coils of wire inside. The primary side has a few hundred turns of wire, whereas the secondary side has thousands. Current is applied to the primary side of the coil, which creates a magnetic field around the winding. Then, the current is interrupted by a switching device (usually the PCM). This causes the magnetic field to collapse, inducing a voltage into the winding. Simultaneously, the collapsing magnetic field creates a voltage in the secondary winding. Since the secondary winding contains many more turns of wire, output voltage is increased to thousands of volts. This is enough to fire the spark plugs. 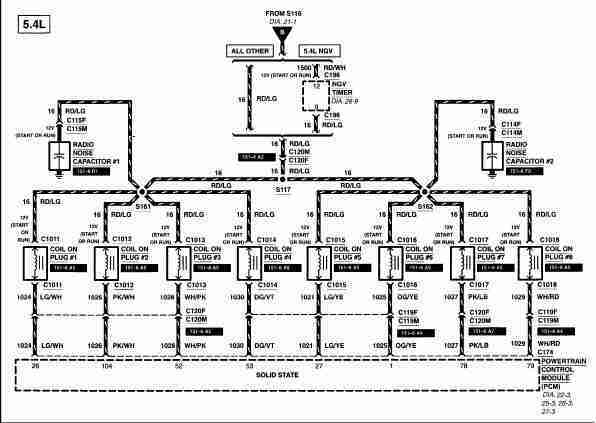 The PCM sets an ignition coil control circuit code P0350 to P0362 when it detects a problem with the ignition coil circuit. The last digit of these codes references the cylinder where the issue is occurring. For example, P0351 indicates a fault in the #1 cylinder coil circuit. Likewise, P0360 indicates a problem with the coil circuit on cylinder #10 on a V10 or V12 engine. What are the common causes of code P0360 ? What are the symptoms of code P0360 ? In addition to an illuminated check engine light, the most common symptom is an ignition misfire. Often, P0360 codes will also be accompanied by a misfire code P0310. How do you troubleshoot code P0360 ? The first still is to visually inspect the coil pack and its connector. Look for things like broken wires, corrosion, etc. Many times a problem can be solved with just a simple visual inspection. If you have an active misfire on one cylinder, swap the coil with another cylinder that is not misfiring. View the misfire counter on the scan tool. If the misfire moves to the cylinder with the swapped coil, you know the coil is defective and not the control circuit. If however, the misfire remains on the same cylinder, you know the control circuit is to blame. Alternately, you can try testing the coil with a digital multimeter. This test checks the resistance of the coil. However, this test doesn’t always work in determining a faulty coil. Many technicians ignore it all together, but it’s worth mentioning anyhow because it’s easy to perform. Start by disconnecting the coil connector. 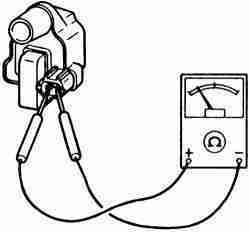 Attach one lead of your multimeter to each terminal on the coil and set the meter to read ohms. This tests the coil primary circuit; typical readings should be 0.4 to 2 ohms. Consult the manufacturer’s repair information for the exact specifications. Next, check the secondary circuit resistance. Do this by attaching one meter lead to the B+ terminal on the coil and the other to the coil output tower. Typical readings should be 6,000 to 15,000 ohms. Once again, the manufacturer’s repair information should be consulted for exact specifications. Next, check the coil for power. This can easily be done with either a test light or digital multimeter set to volts. Disconnect the coil and touch one meter lead to the B+ on the harness side of the connector while touching the other lead to ground. You should see around 12 volts on your meter lead. Note: on some vehicles the engine will have to be cranked during this test. As in the diagram below, most ignition coils share the same fuse and/or relay that feeds the power supply. So, if an individual coil is not getting power, suspect and open or short circuit in the wiring to that coil. 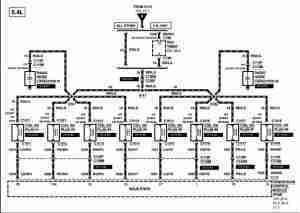 The factory wiring diagram will need to be traced for further testing. If everything checks out so far, you’ll want to test the PCM control side of the circuit. Recall that the PCM intermittently supplies ground to the coil for desired operation. The easiest way to test this is with an LED light or a noid light (designed for testing fuel injector control). Connect the red lead of the LED into the B+ terminal on the harness side of the coil connector. Then, connect the black lead of the LED into the B- terminal on the connector. Have an assistant crank the engine while you monitor the test light. If the light illuminates, the control side of the circuit is good. If not, there is a problem in the wiring or a problem with the PCM. Narrow this down by checking for continuity to the PCM. Set your meter to ohms and connect one lead to the B- terminal on the coil connector and the other to the coil terminal at the PCM. If your meter reads OL, there is an open somewhere in the circuit that must be repaired. If there is continuity, suspect a problem with the PCM. You can check whether the PCM is providing ground to the coil with a multimeter set to volts. Attach one meter lead to the coil terminal at the PCM and the other to the battery positive terminal. Have an assistant crank the engine. You should see around 12 volts on your meter when the PCM grounds the circuit. If not, the PCM is likely faulty. None found. Ask a question about P0360.